In openSIS, parents have the ability to view various information of the school like the school details, school's calendar, etc. After logging in to the parent’s portal, from the menu panel select School Info >> School Information. This section displays the basic details of the school that has been saved by the administrator. Calendar allows a complete view of the events or holidays marked by the administrator or the assignments added by teacher for the associated student. 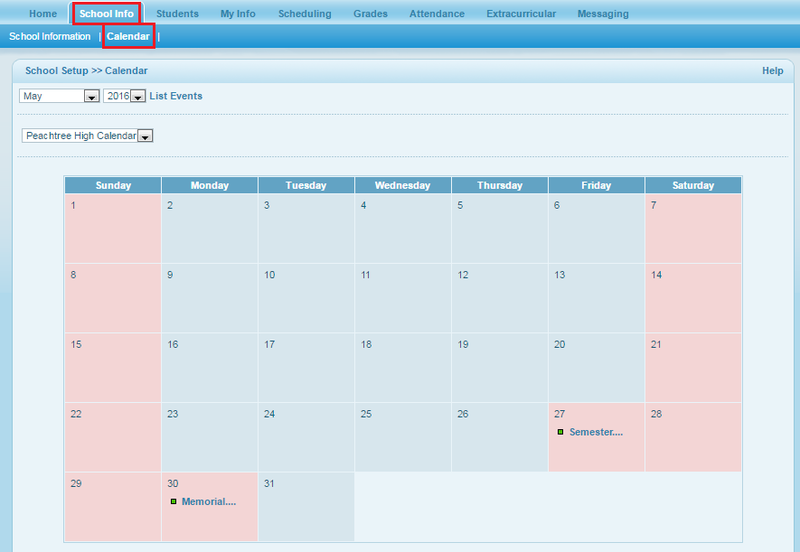 Go to School Info >> Calendar to view the monthly view of the calendar. As per the need, month, year and calendar can be changed from the drop-down menu as well event list can be viewed by clicking on List Events.